Editor’s Note: This blog post originally appeared on the Vanilla Plus blog on May 30, 2018. Digital transformation has become one of those industry-swamping buzz phrases that emerges to dominate discussion and innovation in telecoms. However, the good news is that we’re moving beyond the marketing hype of digital everything and figuring out how digitally transformed telecoms is actually going to work. A vital element of this is in the operational systems and data that operators rely on to run their businesses. With this in mind, VanillaPlus recently hosted a webinar to explore strategies around how the telecoms IT – the business support systems and operational support systems (OSS & BSS) need to be renewed in order to enable and support digital transformation for the telecoms industry. The webinar brought together two speakers, Martin Morgan, the vice president of marketing at Openet, and Dheeraj Remella, the chief technologist at VoltDB. The two explored how telecoms services and customer expectations have changed, starting with a presentation from Morgan. Morgan explained how operators are looking to reduce costs with pre-configured platforms and revealed how new approaches are being adopted that are seeing telecoms providers operate at webscale in contract to a traditional phone company. Open application programme interfaces (APIs) and open architectures developed by TM Forum are central to this webscale adoption and Morgan confirmed that pre-integrated use case are happing now. He pointed out that use cases have often already been built for some of the digital transformation scenarios, enabling accelerated speed to market and flexible commercial models. Everything will run on commodity hardware, enabling as-a-service (aaS) pricing models. The need for speed and cost efficiency is particularly acute as 5G begins to be deployed commercially and operators need the BSS and OSS capabilities to develop, deploy, refine and retire services with huge flexibility in order to address the new market opportunities that emerge. 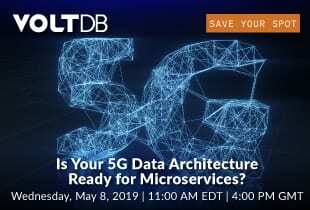 In addition, to harness these and monetise 5G effectively, operators will have to adapt to operating and supporting a much higher volume of microservices, as opposed to their heritage of supporting a small number of large, complex services. Digital transformation, added Morgan, is a difficult challenge so some operators are setting up new companies or sub-brands for their digital first activities. The advantage of these is that these deliver a clean slate, free of legacy culture, infrastructure or costs such as physical shops. Typically, these businesses are driven by opex, not capex. Morgan then turned to the risks of BSS transformation, pointing out that traditional BSS projects have a high failure rate. Massive projects will stake five years and have a 60% chance of failure so a culture shift is required for the back office to become fast and lean in support of digital transformation. Remella then took the floor to explore how data processing is changing within operators to enable and support the digitally transformed industry. It has been said before, but it really is true that data is the lifeblood of the telecoms operator. Without accessible information, operators won’t be able to deliver the agility modern operations and services require. And, as automation is increasingly relied upon, insights into latency, network performance, network utilisation and availability – plus many others – will be necessary in near real-time. Remella examined how new technologies such as machine learning and artificial intelligence, which have been deployed successfully in the financial services sector, are now making their way into telecoms. These technologies will be applied to the core and IP Multimedia Subsystem (IMS) along with OSS/BSS to enable operators to understand what is happening in the network, to support service assurance and customer experience management. He emphasised that traditional databases can’t support these activities effectively. The reason for this is not that the systems are old but because they have been built with so much inefficiency because they are based on archaic concepts. In memory capability used to be very expensive but it’s now cheap so more can be done. Operators will increasingly harness these capabilities to drive their businesses through digital transformation and into the new market place. The volume of data involved in generating actionable insights is immense but traditional databases are not fit for this purpose. They can’t handle the sheer scale and speed involved. New database approaches and technologies are therefore essential in both the database and the OSS/BSS. To get the full picture of how this can be achieved in your business, the full webinar can be viewed here at your leisure.